Some science domains have the advantage that the bulk of the data comes from a single source instrument, such as a telescope or particle collider. But more commonly, big data implies a big variety of data sources. For example, the Center for Coastal Margin Observation and Predication (www.stccmop.org) has multiple kinds of sensors (salinity, temperature, pH, dissolved oxygen, chlorophyll A & B) on diverse platforms (fixed station, buoy, ship, underwater robot) coming in at different rates over various spatial scales at several quality levels (raw, preliminary, curated). In addition, there are physical samples analyzed in the lab for biochemical and genetic properties, and a suite of simulation models for estuaries and near-ocean fluid dynamics. Few individuals know the complete range of data holdings, much less their structures and how they may be accessed. This talk presents a variety of approaches CMOP has followed to help operational, science and resource managers locate, view and analyze data, including the Data Explorer, Data Near Hear, topical "watch pages" and the Climatological Atlas. From these examples, and user experiences with them, I try to draw lessons about supporting users of "science observatories" and research issues that remain. 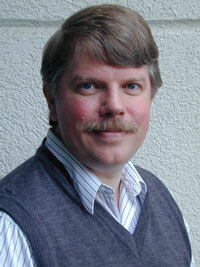 Dr. David Maier is Maseeh Professor of Emerging Technologies at Portland State University. Prior to his current position, he was on the faculty at SUNY Stony Brook and Oregon Graduate Institute. He has spent extended visits with INRIA, University of Wisconsin – Madison and Microsoft Research. He is the author of books relational databases, logic programming and object-oriented databases, as well as papers in database theory, object-oriented technology, scientific databases and dataspace management. He received the Presidential Young Investigator Award from the National Science Foundation in 1984 and was awarded the 1997 SIGMOD Innovations Award for his contributions in objects and databases. He is also an ACM Fellow and IEEE Senior Member. He holds a dual B.A. in Mathematics and in Computer Science from the University of Oregon (Honors College, 1974) and a Ph.D. in Electrical Engineering and Computer Science from Princeton University (1978).